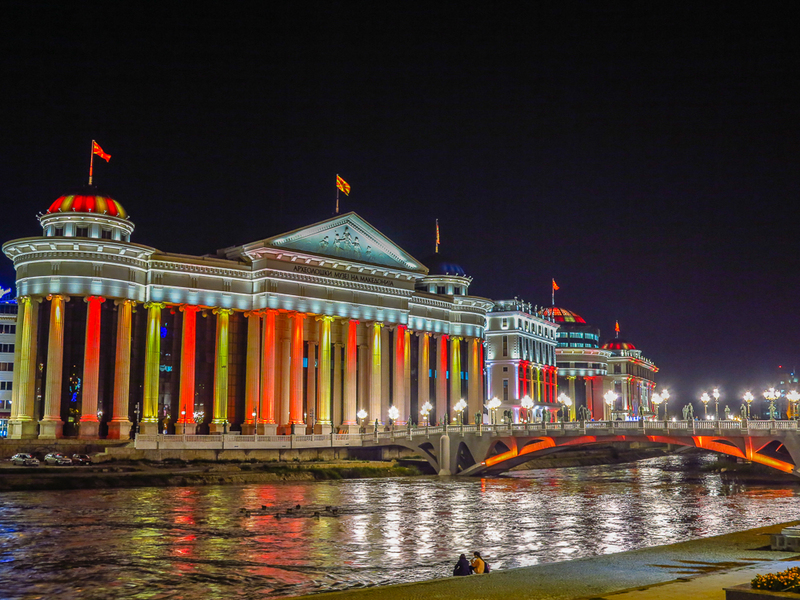 Skopje is the capital and largest city of the Republic of Macedonia. It is the country’s political, cultural, economic and academic center. With a 2000 year old tradition, Skopje offers an unforgettable experience for every visitor, justifying the famous saying: “you can not visit Skopje only once”. For the last several years the city centеr has seen a major transformation and now one can spend an entire day and still not manage to see everything. From the Triumphal Gate to the giant statue of Alexander the Great, the numerous museums surrounding the area and the old stone bridge, the cultural offering is simply immense. 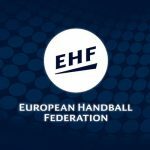 The area is buzzing with nightlife as well, with many of the city’s most attractive bars, coffee shops and restaurants being located on the Makedonija street. Shopoholics will have their hands full as well as there are plenty of shops to choose from with two of the biggest shopping malls within a 5 minute walk. Vodno is the perfect getaway at just 10 minutes drive from the city centre. It’s the nearest adventуre destination and has to offer a bit for everyone. Whether you are an experienced climber or just fancy a relaxing walk the mountain has trails to fit every fitness level. Adrenaline seekers are welcome as there are a number of downhill biking trails and paragliding is also quite popular. 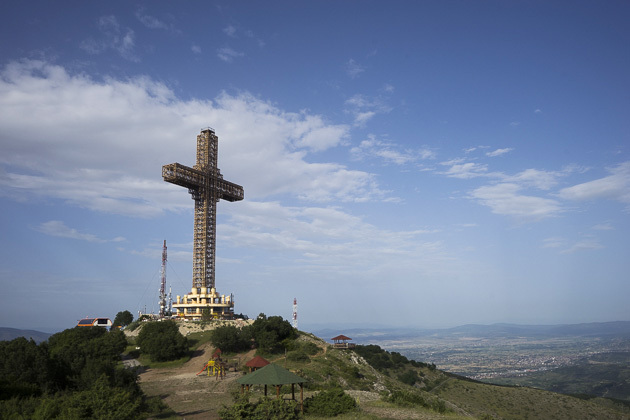 For the rest that would like to soak up the amazing view and just enjoy the fresh air there are several cafeterias and a gondola that will take you to the top where you will see the iconic landmark of the Millenium Cross. The old bazaar has been a center for trade and merchants as early as the 12th century and nowadays it represents an iconic heritage site for the city. It is a vivid representation of the country’s past and its inheritance from the Ottoman empire. Still having authentic shops for jewelry and handcrafted products it can be a paradise for collectors of original arts and products. Its coffee and tea shops perfectly fit in the timeless surroundings and offer an original experience for every traveler. Besides the roaming the main street one can visit the numerous sites around the old bazaar such as the covered market bezisten, the old clock tower, cifte hamam and several mosques from ottoman time. The old bazaar is also within a walking distance from the City Centre and Kale Fortress. 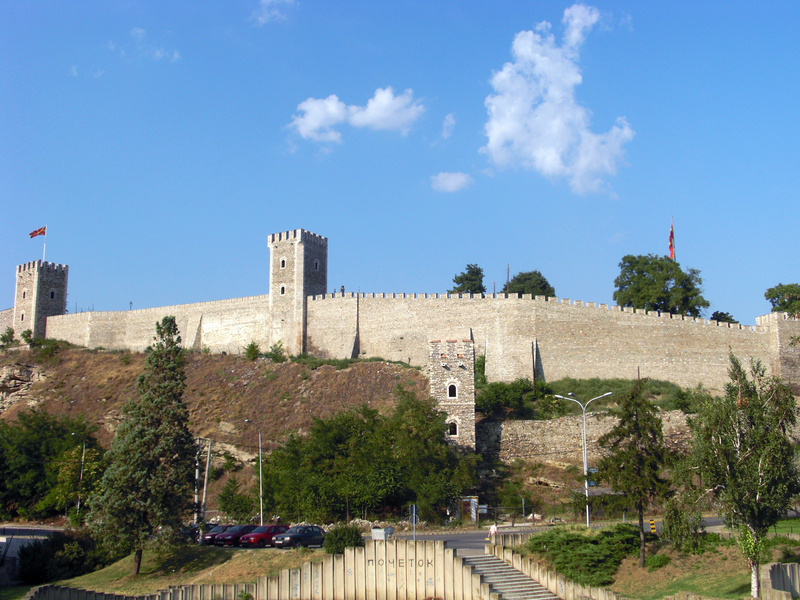 The old fortress of the city, or as it is known Kale Fortress was built by the Byzantines in the 6th century, and still remains the dominant structure in the city. It was partially destroyed in the 1963 earthquake but was quickly restored and conserved. It is one of the most distinguishable sites of the city along with the stone bridge and the newer statues on the Macedonia Square. The fortress is within a walking distance of the city centre, but it’s not always open to visitors so ask around prior visiting. The view of the city from the fortress is astonishing, so if given the chance do not hesitate to visit. Matka Canyon is only a 30 minute drive from the city and represents one of the favorite week-end destinations for Skopje citizens. Although it’s a man-made lake in a canyon formed by the river Treska, the surroundings are astonishing and full of natural beauty. As the river carved the canyon many caves were created and most famous one is Vrelo Cave which can be reached by a boat ride across the river. There are perfect trails for hiking, putting Matka on the to-do list of the more active visitors and there is also a restaurant overlooking lake for the more laid back ones. The area is also a home of several monasteries each one with its own astonishing history. Skopje City Park is located on a site of a former mosque whose pillars can still be seen and is the largest park in the city. 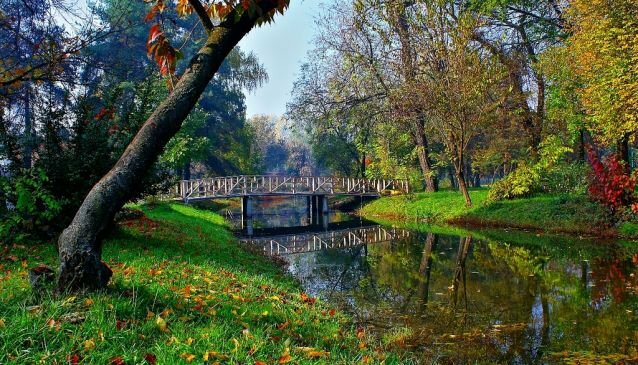 The park is extremely popular during the warmer months when lots of people visit it to relax, walk, or jog as the river Vardar and the sporting path built along its flow is just nearby. The area is also popular for good restaurants and is the home of the National Football Arena “Phillip II”, whereas the City Zoo is within a 5 minute walk.